Join us for an epic, wildlife packed two weeks of whale watching, game viewing, turtle tours and more. 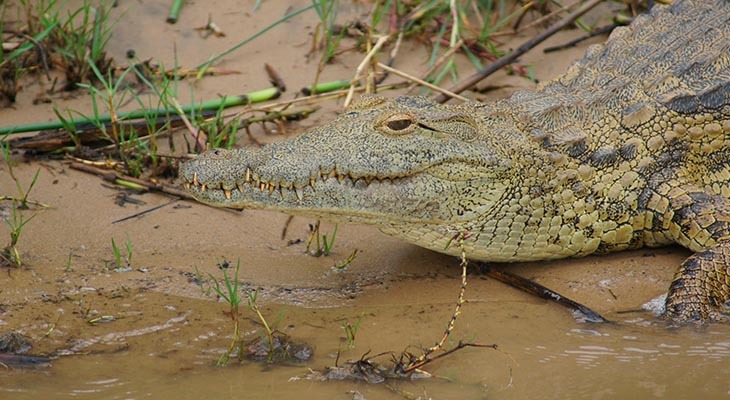 With a focus on this UNESCO World Heritage site, iSimangaliso is an untouched wetland paradise of vegetated sand dunes, beautiful coastline, and abundant wildlife. Experience all this and more on a 2 week adventure along the coast. See below for a day-by-day outline! The morning activity will be in the form of an off shore whale watching experience. Whales migrate northward from the Antarctic through South African waters, passing and dwelling in St Lucia, on their way to the warm tropical waters off southern Madagascar to mate and calf. Both mating and calfing takes place in these warm tropical waters. Gestation is 11 to 12 months and lactation (suckling) takes a further 11 to 12 months. St Lucia boasts the greatest number of boat based whale sightings of all South African waters. This trip should last in the region of around 2 hours, and is weather dependant. 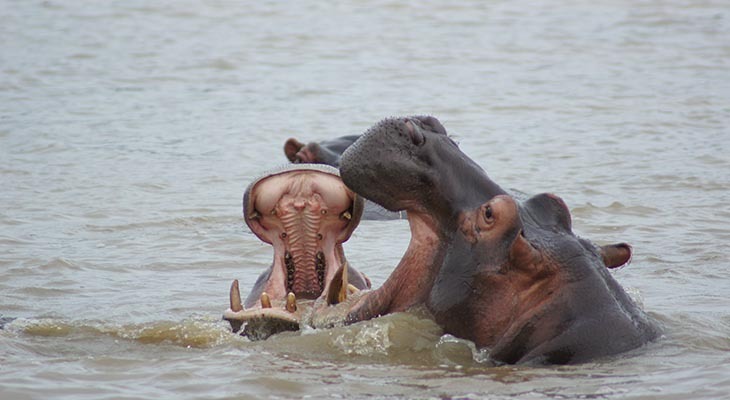 After lunch an estuary boat cruise on the lake would enable you to get up close to Hippos and Crocodiles. The estuary boat cruises are undertaken on large, stable boats with eco friendly low smoke motors, making them the ideal platform for photography. The boat cruise lasts two hours, and is lead by and experienced guide. Today can be spent game viewing, exploring and photographing the eastern shores of the iSimangaliso Wetland Park. 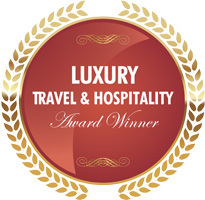 The Eastern Shores is the ideal beach and safari destination. A number of game viewing roads offer intimate access to varied habitats including dunes, grassland, lakes, pans and coastal dune forest. Lookout points provide panoramic vistas over a landscape shaped by human residence in Iron Age times and by the Bhangazi people. A firm favourite with photographers is the new Amazibu Pan Hide. Amazibu Pan Hide overlooks a perennial pan, frequented by the abundant birds and wildlife species resident in the area. Named after the Zulu name for the beautiful lilac water lilies that grace the surface, the pan has a special significance for the Bhangazi people, the original inhabitants who own this section of the Park. This and the nearby Nkamfuya Pan were important sources of fresh water. Currently there are new viewing decks at Lake Bhangazi, Catalina Bay, Mission Rocks and Mount Tabor which should enhance the photography opportunities within this scenic reserve. 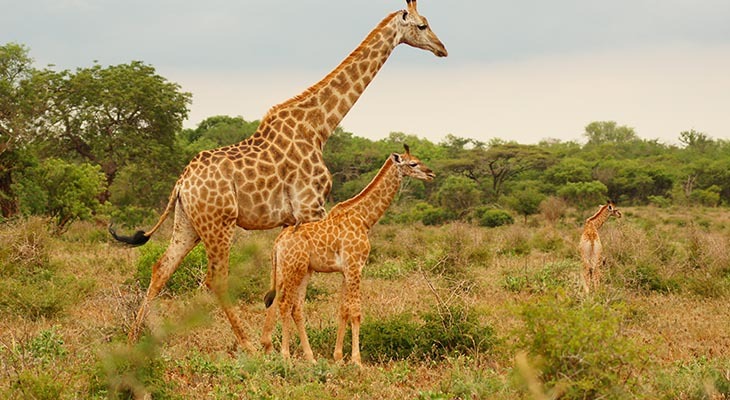 A full day visit to the western shores will enable you to view and photograph species of game not found or associated with the eastern shores, including Giraffe, Elephant and Nyala. Other special animals that can be seen on the western shores are hippo, hyena, side strip jackal, leopard, rhino and buffalo. Morning departure from St Lucia for uMkhuze Game Reserve. En route you can test your macro photography skills at the Isiphaphalazi Butterfly House. Look for the signs to the Manukelana organic nursery and Butterfly House at Khula Village and you’ll enter another world. The project started back in 1998 when ‘four dread men with Rastafarian spirit’ started an organic nursery. They were Mdudi Mhlongo, Bhekinkozi Phungula, Musa Zhikali and Ernest Mlambo. When something started devouring the plants, they were worried. Then a butterfly specialist came to visit and told them the culprits were caterpillars that would soon become butterflies. This gave them the idea of building a butterfly house but, short of funding, it struggled for a while, until in 2007 a funding boost came from the African Conservation Trust. After your visit to this fascinating project, continue to uMkhuze Game Reserve and enter at Ophansi Gate. Mkhuze is a place of great beauty and high contrasts and is renowned as a mecca for bird watchers with a bird list well in excess of four hundred. Predominantly flat and dry, with sandy ridges which are ancient dunes, it harbours an astonishing diversity of natural habitats. 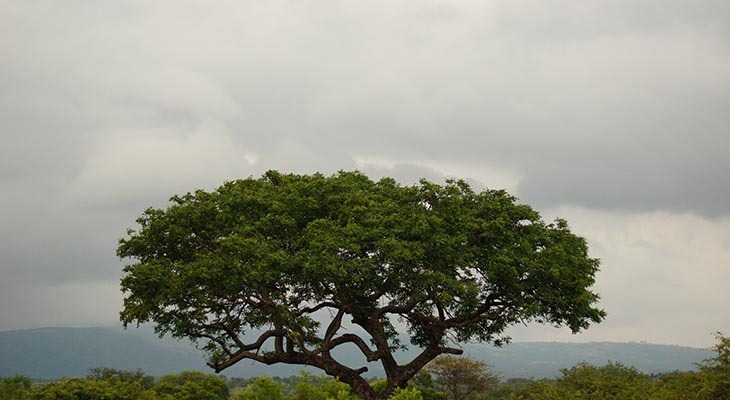 These range from the eastern slopes of the Lebombo mountains which lie along its western boundry, to broad stretches of gently rolling acacia savannah, swamps and a variety of woodlands and riverine forest. The low lying hollows adjacent to the red sand dunes contain attractive groves of scented thorn which grow in clay soils. There is a substantial and rare sand forest found in the heart of the reserve, a habitat noted for its dark-leafed, wide spreading shepherds tree, and the red heart tree, which create a lovely sight in autumn with their pink winged seeds. The day can be set aside exploring uMkhuze Game Reserve. Should your focus be on photography, then spending time in the well situated hides at uMkhuze will definitely be a rewarding experience. Also highly recommended is the guided Fig Forest in the morning, as this walk can produce good bird sightings as well as the opportunity to view game on foot. Morning departure from uMkhuze for Sodwana. Here you will have the opportunity to experience Turtle Tours in the summer which allow views of Loggerhead and Leatherback Turtles that nest on the Sodwana bay beaches. Your tour to watch the turtle nesting that occurs in an age old ceremony, is a opportunity for you to observe a secret of nature that is seldom witnessed by the average person. Year after year the turtles return to their turtle nesting grounds where they dig into the white sands of the northern Sodwanda Bay beach to lay their round white eggs. The beach is protected in the areas where the turtles nest, to ensure the safety of these amazing animals, but special tours are arranged with experienced qualified guides for you to be able to enjoy seeing this remarkable phenomenon. Morning departure for Tembe Elephant Park. Tembe Elephant Park covers differing terrains and eco-systems, from dense Sand Forest thickets, woodlands, savanna and swamplands to provide an ideal habitat for the resident Elephant population. 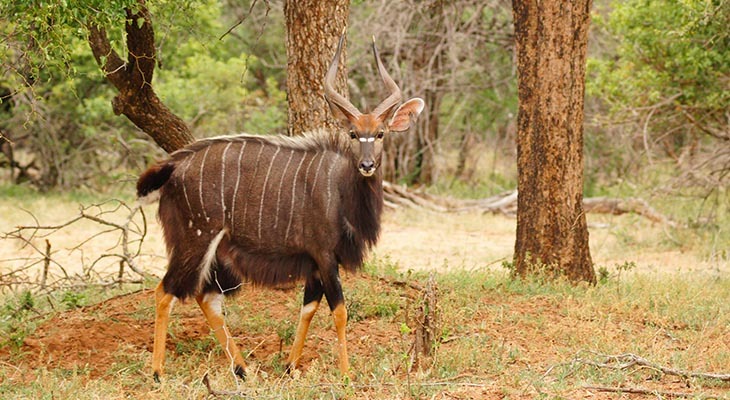 In addition to Elephant Tembe also supports a healthy population of Black Rhino, White Rhino Buffalo, Hyena, Giraffe, Leopard, Jackal, Wildebeest, Kudu, Waterbuck, Reed Buck, the scarce and diminutive Suni antelope, and much more. 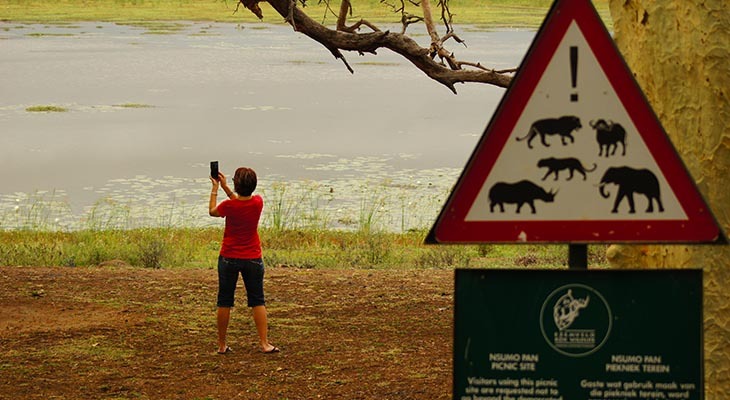 There are two hides within the reserve, and a patient vigil should reward you with numerous Elephant sightings. A second day at Tembe would be highly recommended should you wish to explore this magnificent reserve. Morning departure for Kosi Bay. The Kosi Bay Nature Reserve lies on the coast in the northern part of KwaZulu-Natal and surrounds the unique and beautiful Kosi Bay lake system which is part of the Greater St Lucia Wetland Park, a World Heritage Site. This system consists of four lakes and a series of inter connecting channels which eventually drain via a sandy estuary into the Indian Ocean. In the morning you can do a boat cruise on the Kosi Lakes in order to learn more about the “Kraal” fishing methods, and in the afternoon visit the Tembe Butterfly House. Located near Tembe Elephant Park in Northern KwaZulu-Natal, the Tembe Butterfly House is situated in the sand forests of Maputaland; an area globally recognised for its rich biodiversity. More than 200 butterfly species occur in the area! The Butterfly House is home to numerous local butterfly species and includes a breeding facility, an educational centre and a host plant nursery. Local guides offer tours in the butterfly dome and presentations on the life cycle of butterflies are offered in the educational centre. Guides are also plant and bird specialists and have extensive knowledge of the local biodiversity found in the area. Early morning departure for Mozambique via Farazella Border post, with your destination being Maputo Special Reserve. Please note that we will be fully self sufficient and travel with a 4x4 vehicle for this leg of the trip. 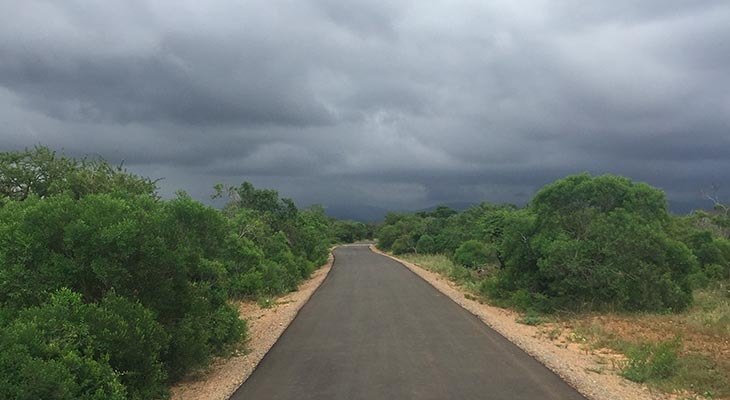 The road to the north will also offer the opportunity to photograph and experience rural Mozambique at its best, as you will pass by numerous small villages and barackas (shops). Off the beaten trail, 79 kilometres south of Maputo, lies Maputo Elephant Reserve, an unspoiled region of vast, rugged beauty. The reserve forms part of the Lubombo Transfrontier Conservation Area, a collective of national parks from South Africa, Mozambique and Swaziland. The park has over 200 elephants. Visitors may expect to drive on trails through the bush that is punctuated intermittently by marshes, rolling grasslands and forests along that thrive along the two rivers in the park. A visit to the Maputo Elephant Reserve also richly-rewarding for bird-lovers – the lakes of the park teem with many varieties of southern African birds. Zebra and antelope roam the plains, while crocodiles and hippos inhabit the watering holes and lakes. Travel to Maputo and take either a boat or flight to Inhaca Island. Inhaca Island has a lot to offer, from boat trips to the nearby Portuguese Island, which is a totally deserted island with magnificent white sandy beaches, and excursions to the Marine Biology Museum or the Inhaca Lighthouse.